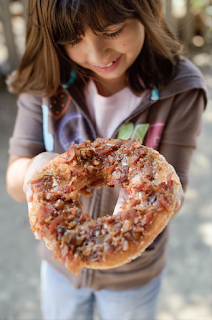 Montebello Mom: L.A. County Fair: Free / Discount Tickets, Promotion Days, & Kids Ride Free! 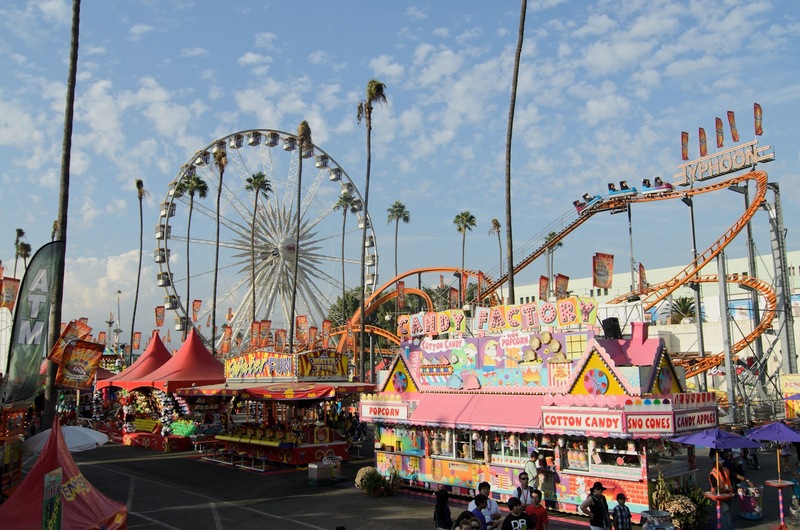 L.A. County Fair: Free / Discount Tickets, Promotion Days, & Kids Ride Free! The Fair is the only place you should eat this. Read to Ride: Kids in Kindergarten through 8th grade can read books, write book reports, and receive free ride vouchers! 3 book reports = 3 free rides or 6 book reports = 6 free rides. Click here to print out the certificate. Kiddie rides start at $3 in tickets, the bigger rides are up to $6 in tickets; this Read to Ride program is definitely worth it! Give Back Thursdays: Bring in 5 new school supply items and get free fair admission from Noon-3pm. Food Drive Fridays: Bring in five food items between Noon-3pm for free fair admission. East L.A. College students get in free on Thursday, 9/11 with a printed coupon & student ID. $5 after 5pm on Wednesdays & Thursdays. Must present coupon. Hero Weekend: Active & retired military, police, fire, & paramedics receive $2 fair admission for themselves & a guest on 9/13 & 9/14. Donate Blood! Donors receive an Any-Day Admission Ticket. Bloodmobiles will be available on 9/11, 9/12, 9/13, 9/14, 9/19, & 9/20 at 1101 W. McKinley Ave., Pomona, CA 91768, adjacent to the fairgrounds. Any-day tickets at Ralphs, $11 adults, and $6 children. Costco sells a family pack that includes 4 tickets, a parking pass, and 44 ride tickets for $60. More promotions are available online. There are links to print out coupons if you belong to certain organizations, information about group sales, purchasing tickets online and more. Click here to see all these and more for the the L.A. County Fair.